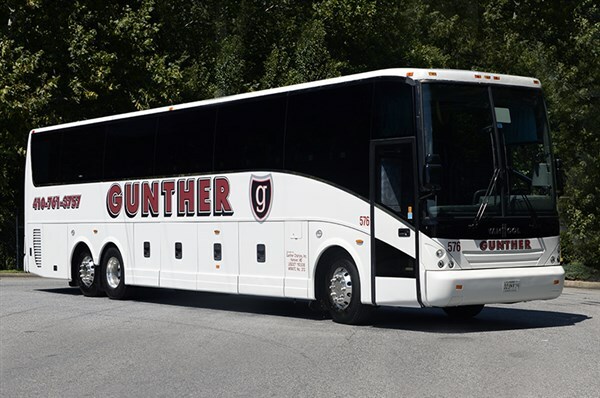 Travel with Gunther Tours aboard our deluxe motor coach to one of America's most popular resort towns, Myrtle Beach, South Carolina. This delightful coastal community is home to glorious beaches, fantastic holiday shows, and unbeatable shopping. Welcome Aboard! Travel in comfort aboard our deluxe motor coach to one of America's most popular resort towns, Myrtle Beach, South Carolina. This delightful coastal community is home to glorious beaches, fantastic holiday shows, and unbeatable shopping! Before checking into our oceanfront accommodations at the Hampton Inn & Suites, for the next four nights, we are treated to a delicious dinner at a local restaurant.
" 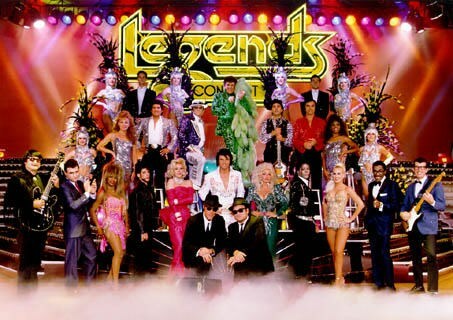 Legends in Concert - World's Greatest Live Tribute Holiday Show!
" 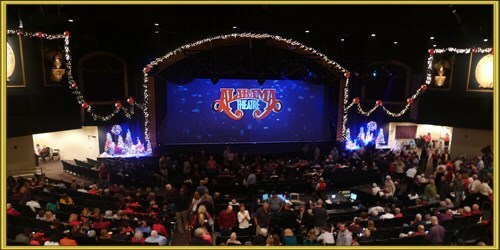 Alabama Theatre - The South's Grandest Christmas Show!
" 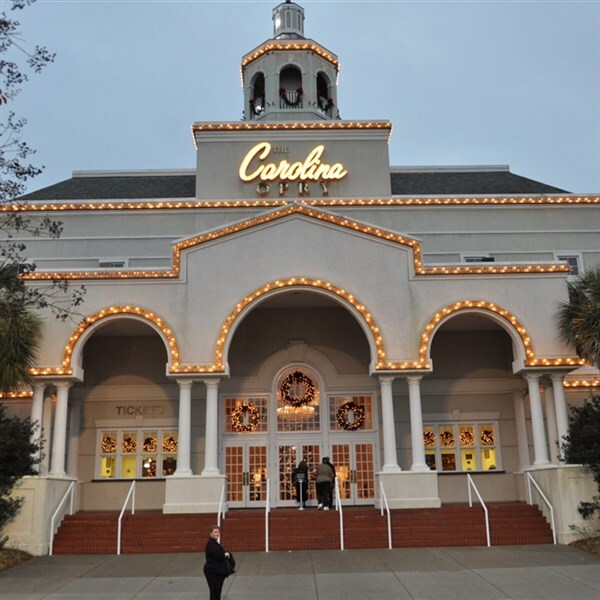 Carolina Opry - The Christmas Show of the South! After a deluxe continental breakfast you are free to design your day and do as you wish! You may choose to relax and pamper yourself by taking advantage of our oceanfront hotel's facilities that include indoor and outdoor swimming pools, a spa tub, a fitness center and direct access to the beach. The hotel also offers a bar and lounge for your favorite cocktails. For the convenience of those passengers who do not wish to spend the whole day at the hotel, we will offer transportation to the Victorian Holiday Marketplace at the Myrtle Beach Convention Center. The Victorian Holiday scenery creates the perfect setting for you to enjoy exploring and shopping at this unique holiday market that is the cornerstone of the Myrtle Beach Dickens Christmas Show & Festivals. Here you will find hundreds of period clad vendors hawking their merchandise, everything from jewelry, gifts, toys, arts and crafts, gourmet foods, holiday décor and much, much more. Strolling Victorian Musicians, Tea Leaf Readers, Punch & Judy Shows, Shadow Box Displays, a Life Sized Historic Santa through the Ages Exhibit and a real live Santa, each add their own charm to the marketplace. Later we return to our hotel where you will have time to sit, relax and freshen up before going out for a delicious dinner at Thoroughbreds Restaurant, a perennial favorite of Gunther Tours travelers! After a deluxe continental breakfast we depart for home taking with us some wonderful memories of Myrtle Beach's sights and holiday musical sounds! Happy Holidays!